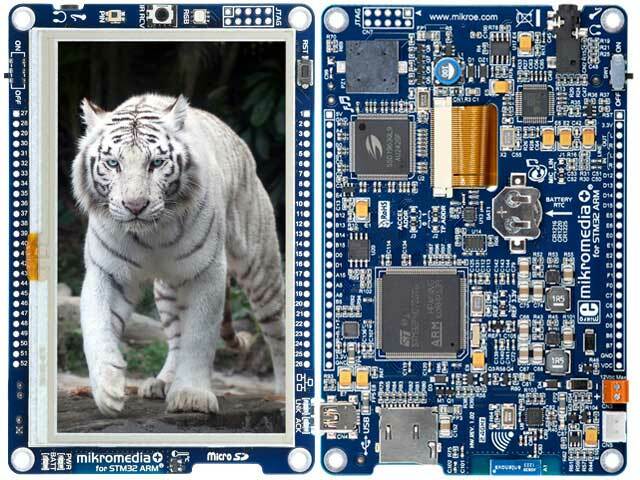 TME offer includes a compact development kit on a single PCB board with 4,3” TFT display equipped with touch panel. The kit includes multiple peripheral circuits with the STM32F407ZG microcontroller (the ARM Cortex-M4 family). Possibility to supply by means of USB connection, Lithium-polymer battery or by means of another source (2,5-12VDC). The kit includes prototype board, 2GB microSD memory card with an adapter, USB cable, software on DVD, user’s manual and a diagram.